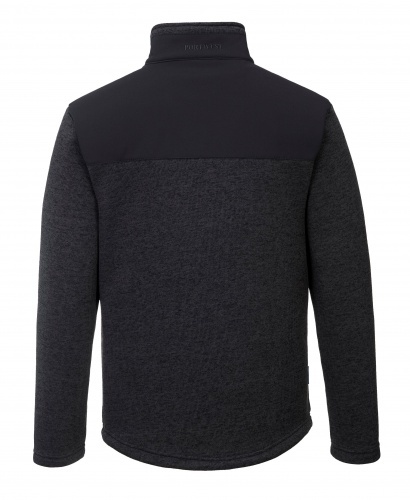 Contemporary work jacket made from a soft knitted fleece fabric ensuring that once you put it on you won't want to take it off. Reinforced shoulders and back panels offer added durability in heavy-use areas. Interchangeable zip pullers in blue, red and lime green are supplied for easy integration of corporate colours. Designed with a modern fit, this jacket hosts a range of practical features including a longer back length, a rubber zip puller and multiple pockets.